Research Associate to Director, Al-Mawrid, Institute of Islamic Sciences. Job responsibility involves assisting the Director in his research and teaching Online courses. 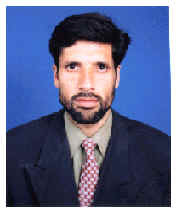 Lecturer in Islamic Studies Mus`ab School System Lahore, Pakistan. Shahadah ‘Alamiyyah from Al-Mawrid Institute of Islamic Science Lahore, Pakistan. Clearing and Accounts Officer, Shahid Nauman Rana Member Lahore Stock Exchange Lahore, Pakistan.